Viktoria Plzen defender Lukas Hejda's late goal gave his side 2-1 victory to send CSKA Moscow out of the Champions League and sending Real Madrid and Roma to knockout stage. 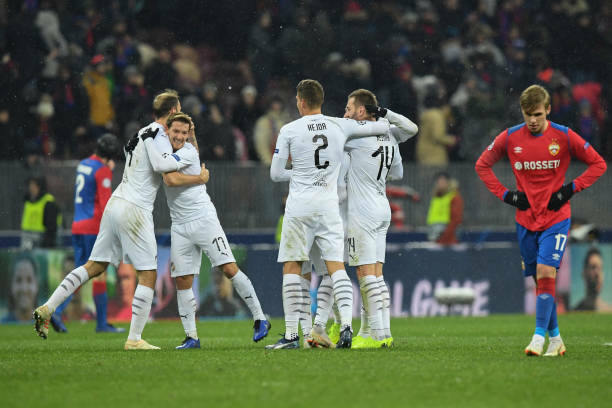 CSKA had to beat Plzen at a snowy Luzhniki Stadium on Tuesday to have any chance of finishing in Group G's top two spots, but their loss ensured reigning champions Madrid and Roma advanced. The home side took an early lead from the penalty spot, Nikola Vlasic converting to put Viktor Goncharenko's men on track for the win they needed. But after Igor Akinfeev's penalty save from Roman Prochazka, the Plzen midfielder made amends with an equaliser and Hejda headed home with nine minutes left to complete a fine comeback. CSKA opened the scoring in the 10th minute, Vlasic on target from the penalty spot for his third Champions League goal of the season. Milan Petrzela tripped Georgy Schennikov in the box and Vlasic, on loan at CSKA from Everton, beat Ales Hruska easily from 12 yards. 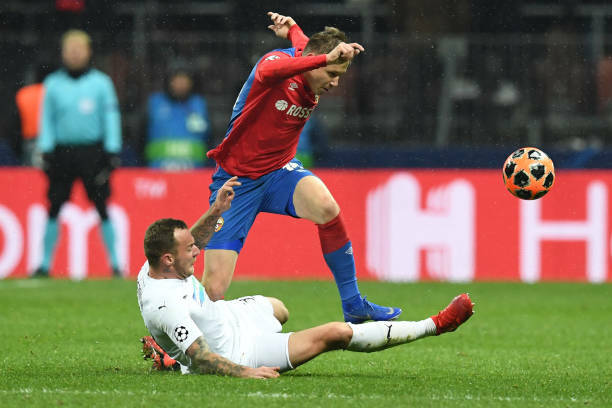 Having won CSKA's spot-kick, Schennikov gave one away in similar circumstances by fouling Radim Reznik, but Akinfeev dived low to his left to keep out Prochazka's penalty. Prochazka made amends with an excellent equaliser in the 56th minute, picking out the top-right corner after substitute Jan Kopic's cross found him in the box. Ivan Oblyakov had a great chance to put CSKA back in front but failed to connect with Fedor Chalov's pass, then Hruska made a fine stop to keep out a powerful Arnor Sigurdsson shot.